Roots and Shoots offers tree surgery services for both domestic and commercial purposes. Tree surgeon in Surrey also offering landscaping, stump removal and grinding. Roots and Shoots takes pride in providing the finest tree care services in Guildford, Surrey, Kingston upon Thames and London. With a group of certified arborists, we are committed towards delivering the highest standards one can expect within our industry. We provide all tree surgery services including felling, hedge cutting, crown reduction, pollarding, pruning, stump grinding, stump removal, and plantation to name a few. Should you be in need of a highly qualified tree surgeon in Guildford, don’t hesitate to give us a call at Roots and Shoots, we are here to help. Are you looking for trained and qualified domestic tree surgeons in Surrey? Then, you have come to the right place! Here at Roots and Shoots, we offer wide range of tree services to keep your garden fresh and nourished. We only use state-of-the-art equipment to get the work done in the safest and most professional way. We are one of the leading companies offering commercial tree services covering all areas of Surrey i.e. Woking, Leatherhead, Epsom, Walton on Thames, Guildford, Richmond and many more . We aim to provide and serve the people of Surrey with high quality tree services at affordable rates. No matter how large or small the job is, we will complete the work within the stipulated time and leave your premises neat and tidy. We are experts in landscape gardening and can transform your outdoor area. We provide customised solutions so that all your needs are met, helping you achieve the desired results. No matter what your requirements, we assure to meet and exceed all your expectations and provide them in a friendly and professional manner. Our Landscapers in Woking, Leatherhead, Walton on Thames & Epsom are experts in gardening and can transform your you outdoor area in to beautiful environment. 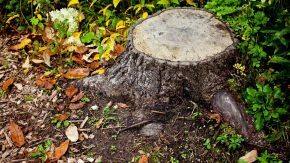 At Roots and Shoots, we provide stump grinding services in all areas of Guildford, Kingston Upon Thames, Richmond and throughout Surrey. We have the specialised resources to deal with any size of residential and commercial stump grinding and removal. 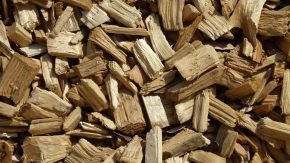 Roots and shoots are a well known woodchip supplier covering the area woking, leatherhead, walton on thames, guildford, epsom and many more places of Surrey. We use a large chipping machine to produce chucky woodchips which are perfect for garden use or fuel. Here at Roots and Shoots, we ensure that our customers receive high quality woodchips at affordable rates. We are a certified firewood supplier based in Surrey. Roots and Shoots prides itself on delivering high quality seasoned and hardwood logs. 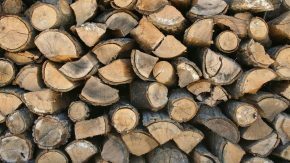 The firewood we provide is prepared by our in-house professionals. We are very delighted to provide a reliable service that preserves the environment as well as saving on your fuel costs. If you are in need of emergency tree care services, then look no further. 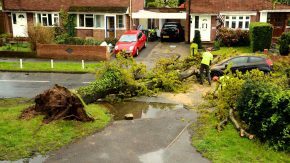 As part of our tree services, we also provide emergency call out to help you in your hour of need. We have always provided our customers with a matchless service, meeting all their needs and requirements. In our team we have the finest professionals with years of experience within the tree maintenance service. 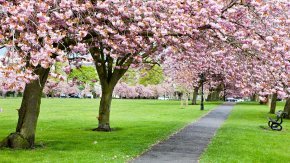 We take pride in our most sought after services in the Kingston locality such as pruning, planting and aftercare. 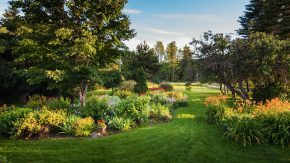 We love to talk to our clients and offer them useful garden tips and advice that will certainly help with giving a fresh look to their landscape. Discuss with our qualified tree surgeon to find out how we can help. Here at Roots and Shoots, we use advanced equipment so that all the work will be performed to the highest standard. Our arborists are fully insured and all our workers undergo extensive training so they can acquire sound knowledge and qualifications required to carry out the work needed. With our expert tree surgeons catering to your arboricultural needs, you will have no fear that the job carried out professionally and with the utmost care. We offer custom-made services to both domestic and commercial clients. Our mission is to provide complete customer satisfaction. Our experienced and qualified team will carry out the work to the highest level of proficiency. We offer Public Liability Insurance. To get more information on our tree care services, call us at your convenience. We will be happy to answer any questions you may have. Our tree surgeons are dedicated to continuous improvements and providing unequalled service to all of our clients in an environmentally friendly way. We also provide an emergency service to help you in any urgent situation. Ever since the creation of our company, we have always provided our customers with excellent service giving them 100% satisfaction when it comes to tree surgery.